The leader of The Wild Lotus Band considers their music more than simply yoga rock, and it bears the musical earmarks of being made in New Orleans. 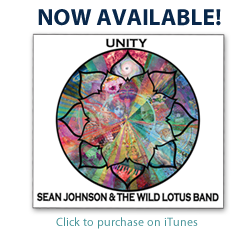 Unity by Sean Johnson and The Wild Lotus Band walks a tough line between the pristine airiness of new age music and the (gently) gritty textures of blues-based rock ’n’ roll, and it does so boldly. Johnson and the band commit, and pieces that start with musical or lyrical ideas I’m not sure are for me—too hippy, too sincere—often gain power in their droning repetition and carefully measured intensity. The album has moments that bring to mind the earnest utopian vibe of much early ’70s rock without losing its core purpose and audience in pursuit of it. 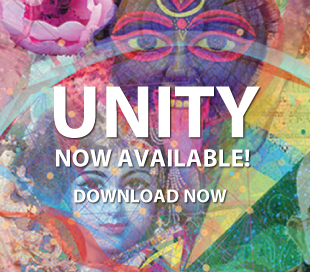 Sean Johnson and the Wild Lotus Band shy from away from being classified as just a “yoga band.” Though much of their music is grounded in the mantras and chants of more traditional, spiritual Indian music, the members also pull in their own influences from around the world. Having grown up in New Orleans, for example, Johnson often finds when he begins composing that the bass line takes the form a horn part or a tuba part. Though it can be hard to imagine New Orleans music mixing with the spiritual chants of Kirtan music, what the Wild Lotus Band is doing is clearly effective. 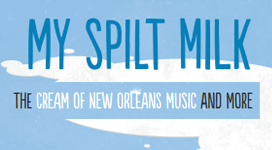 Johnson relates the story of their first time playing Jazz Fest when, after initially wondering if people would get what they were doing, he found that audience members had been moved to tears during the set. Click here to read full article and watch video interview.